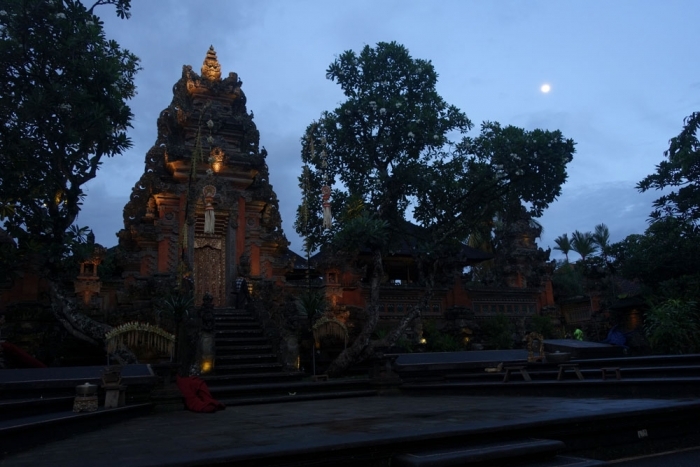 We again decided to transfer between the two hotels in Nusa Dua and Ubud by taxi as the public transport option seemed to require several stops and changes. Again it wasn't very expensive, around £15 for what ended up being a 2 hour journey due to traffic! The hotel we chose in Ubud (Inata Bisma) was about a 5 minute walk to Monkey Forest on a dirt track and 25 minutes to the palace. 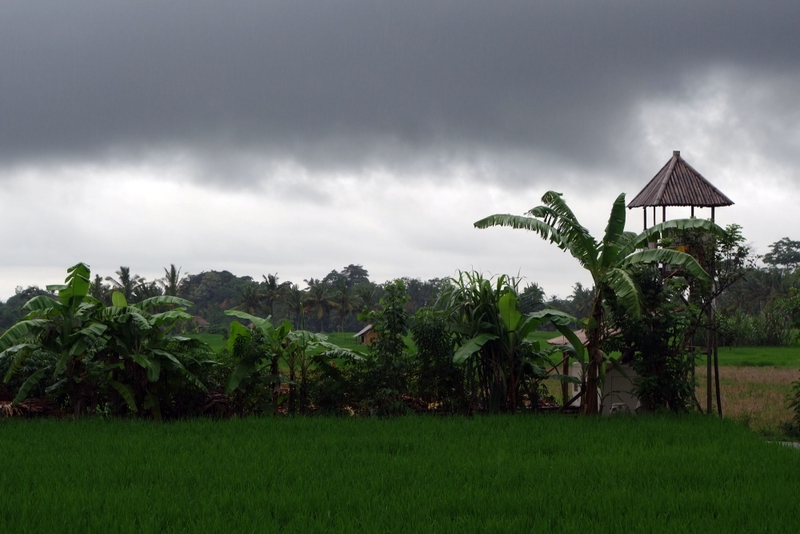 It was on a road parallel to the Monkey Forest road and had beautiful views over rice paddies from an infinity pool. The hotel also offered a free shuttle around Ubud and the bonus of this shuttle compared to other hotels was that it was any time of day if the driver wasn't already out and you simply had to call the hotel to get picked up wherever you were in the town. 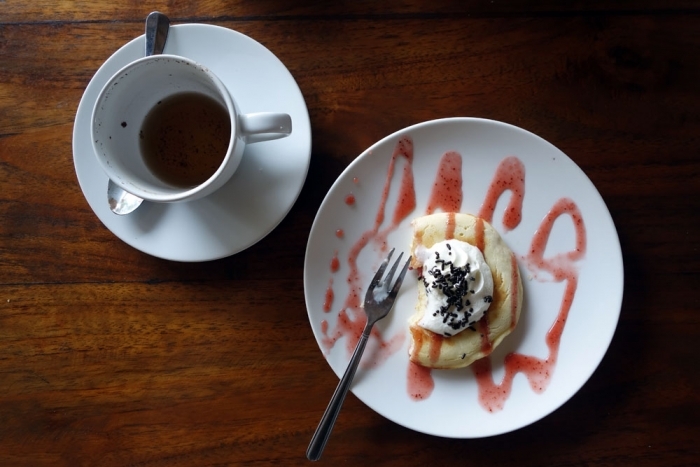 Also provided was breakfast which was freshly cooked, included juice, tea or coffee and fresh fruit as well as yummy options such as strawberry pancakes and full English breakfast. There was even an additional free afternoon tea each day if you were feeling peckish, with tea and pancakes! The room and bathroom itself were big and clean and there was housekeeping every day. The staff were really helpful and friendly and always ready to be of assistance. 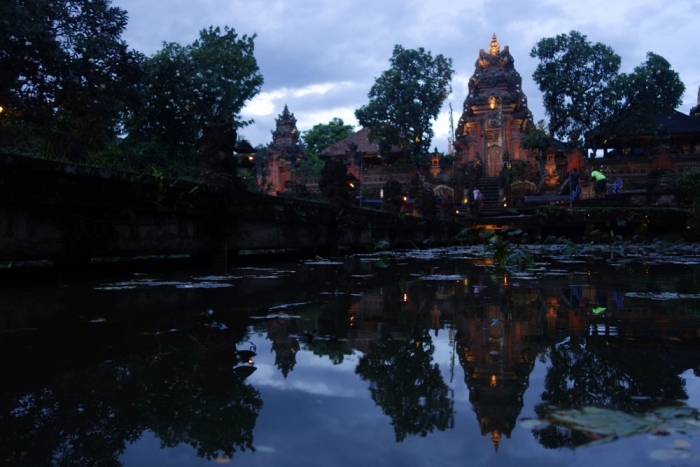 Ubud as a location is famous for healing and well being and all that jazz. It made its name in the book Eat, Pray, Love (which I must confess I haven't read or seen) and so many people flock there to 'find themselves' and there are a ton of yoga centres offering their services. I think the most well known of these is Yoga Barn, a relatively new venture which holds a gazillion classes a day of a massive variety for all levels of yogi. 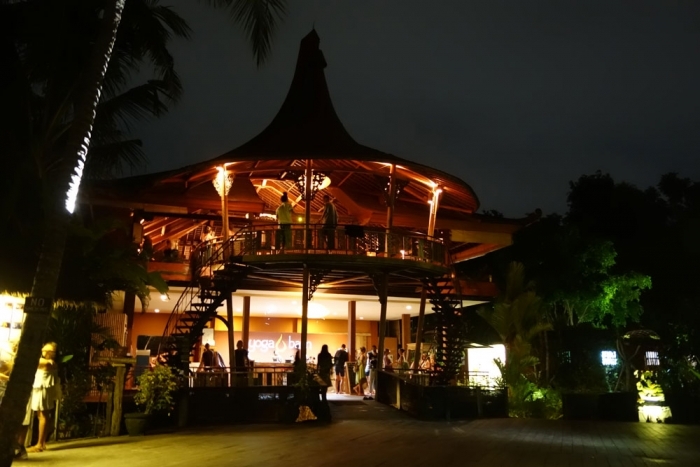 If we were going to try yoga in Ubud we figured we may as well try it here. You can pay for each class individually (IDR 120k each/£6) or you can buy a pass for a certain number of classes which makes them overall a bit cheaper. They also provide all of the equipment you will need so no need to worry about that. The first class we decided to try was Yin Yoga as it was a morning class for level 1/beginners and was being held by a popular teacher. Unfortunately it was a substitute teacher taking the class but it was still pretty good. The class was 90 minutes long and focused on stretching and working on the muscles in the lower limbs and pelvis. It was nothing like the 'classic' yoga we were expecting but not as strenuous as well which we appreciated. We decided to try one more class before leaving and came across their 'community yoga class' on the timetable which is held every Friday evening. They actually hold community classes pretty much every day of the week but they vary from yoga to dance to meditation I believe. These classes are all 60 minutes, are advertised as being for all levels and the best bit is that they are free! We arrived about 15 minutes before the class started and it was already quite full so I would definitely advise getting there early. There were clearly quite advanced people in the class too but that wasn't a problem and I never felt bad about not being able to do a pose or falling out of them. This class was Hatha yoga, so much more of what we expected and much more taxing. My one problem was that as it got dark, the huge flies that you get in Bali started to fly all around us so I wasn't able to relax very much at the end! This was the only downside I can think of however and would highly recommend this class if you fancy just dipping into the yoga scene in Ubud for free. 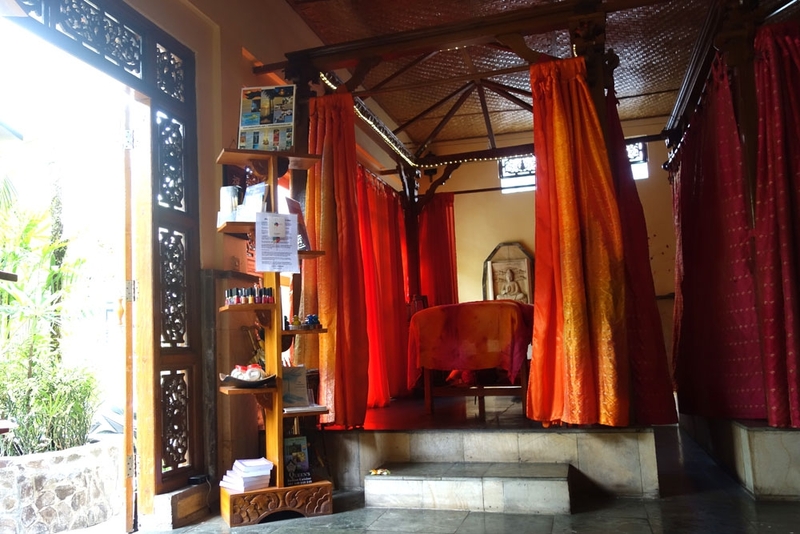 Another very popular activity in Ubud is a visit to the spa. There are literally hundreds of them around the town so the choice can be overwhelming. I had two massages during my time there. The first was in the afternoon, Alistair and I had been going out to shop but had been caught in horrendous rain and were drenched. Alistair just wanted to sit down and have a drink and I wanted a massage so we compromised at Oops Spa. 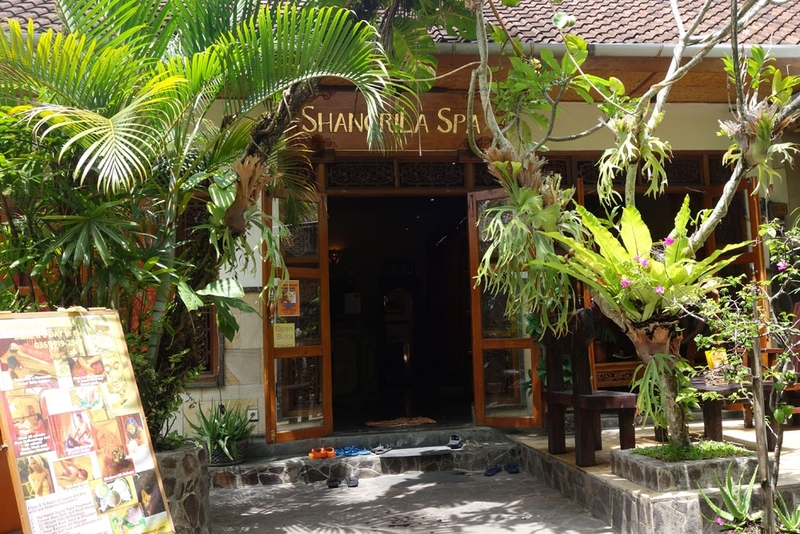 It is a restaurant and spa that we came across near the palace and Alistair grabbed a coke whilst I had a 30 minute foot massage and reflexology (costing IDR 65k). I thought it was wonderful at the time given the circumstances, very clean and professional but I don't know if I would have gone there for any other treatments. Our second massage was much more planned at Shangrila. I found the spa through Trip Advisor where it had excellent reviews as well as it being mentioned in some blogs. We booked it the day before as it is very popular and does fill up. We only wanted another massage but they had some great packages if you were interested in other treatments too! The spa itself is very atmospheric, lovely music playing and the rooms are separated by embroidered curtains (it all feels very luxurious). We asked for joined rooms which they facilitated by changing the curtains but this may be something you need to request on booking so they can allocate the rooms beside each other. 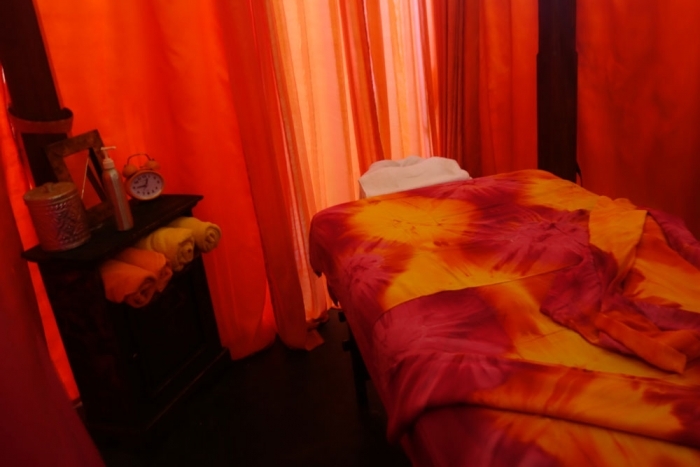 We both had a 90 minute Balinese massage with male masseuses this time. My massage was a lot harder than last time, with the masseur really working on lots of knots on my back and shoulders. Alistair also felt that this spa was better than the one in Nusa Dua. 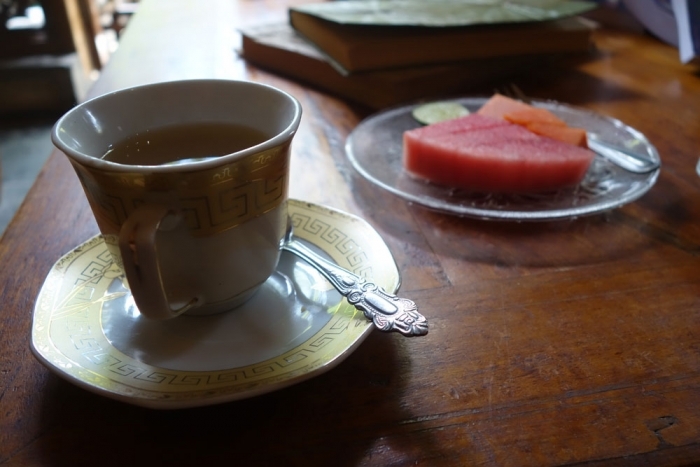 After you have finished you can shower there and then are given ginger tea and a plate of fresh fruit to finish off. It was so lovely and as I write this I really want to go back there now! There are loads of tourist shops around Ubud as well as the art market and also some high end shops like Ralph Lauren (which look fairly out of place). The art market is a food market for locals super early in the morning and then becomes the market for tourists. We didn't spend long here as it was our wet and horrible day but it could be fun if the weather is a bit nicer and its definitely possible to while away an afternoon wandering around the different shops and stalls, bartering and having fun. 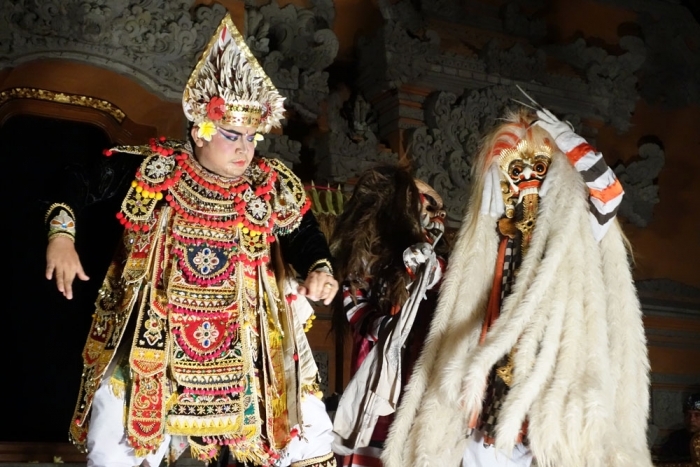 Another popular activity in Ubud is seeing one of the cultural performances. There are loads on every night around the town and on the outskirts and you can get tickets from stalls on the street or through your accommodation. 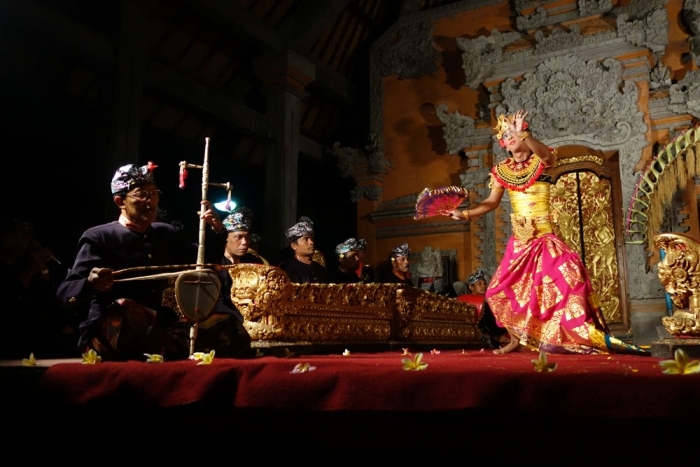 We decided to do the clichéd thing and see one of the nightly performances at Ubud Palace. There are a shed load of people selling tickets around the palace but we went inside and bought them from there. In retrospect the tickets on the outside were probably fine, just make sure you check the day on the ticket before you buy and make sure they tear it out of a book. The cost should be IDR 80k for the palace performance. 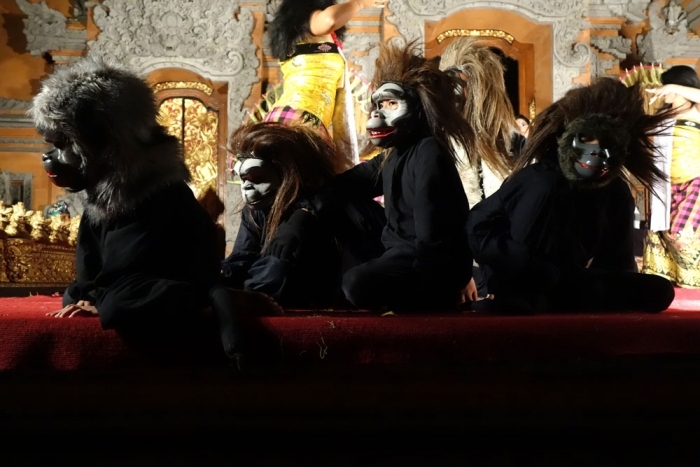 I honestly found it all a little strange and bizarre (we went to the Legong trance performance) but it was good to have seen a local show regardless. We also noted that the lotus pond (behind the Starbucks...yes there is a Starbucks in Ubud) is a lovely, atmospheric location and they have performances on certain nights there so its definitely worth checking that out as another option and yields pretty photos even if nothing is on! 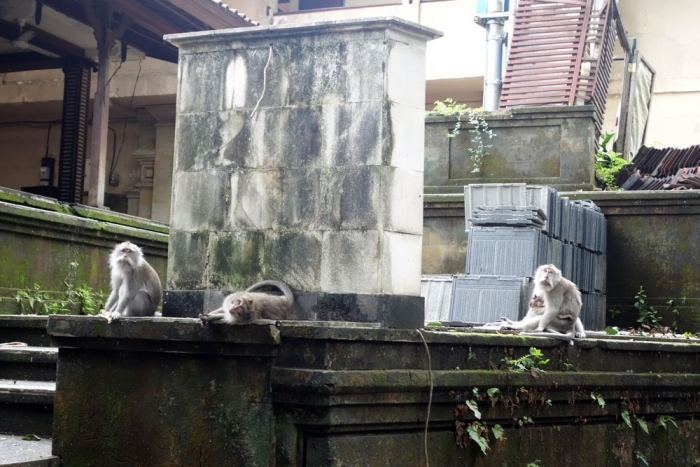 There are many other things that you can do around Ubud which we didn't end up doing such as visit the huge rice terraces or some of the temples on the outskirts of the town, take a cycling tour, do a cooking class or enter the monkey forest (I was absolutely paranoid having read loads of stuff online about aggressive monkeys who steal things from your pockets and jump on you, plus we didn't have the rabies vaccine so we stayed clear. We did see the monkeys every day when we walked past the forest though, they were just chilling on the other side of the road, on buildings and cables and they are hard to miss!). 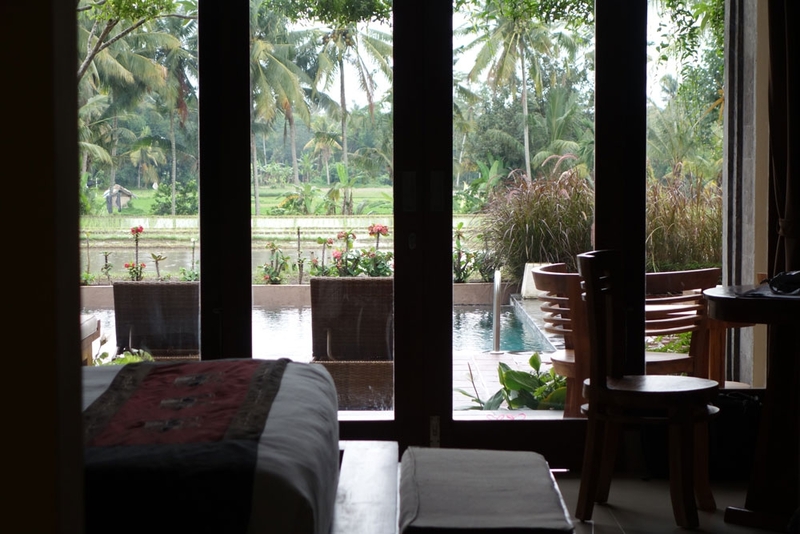 I would highly recommend Ubud as a destination, I would personally skip the south coast and just go straight there for a week or two. 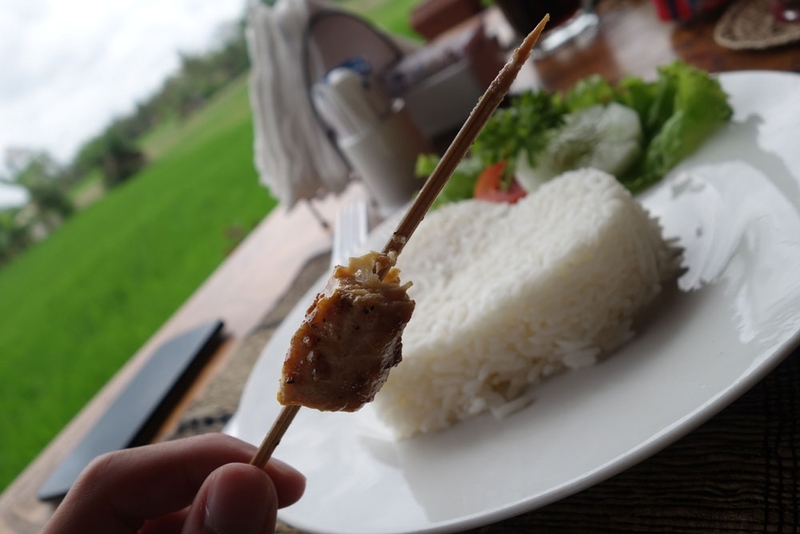 Its so relaxing, feels relatively safe and tourist friendly and has loads of good accommodation and food options (we like the satay at a restaurant near the monkey forest which had awesome views of the rice paddies). 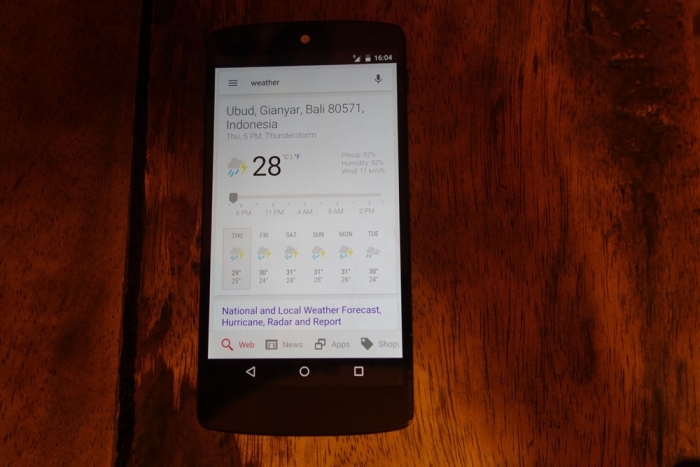 I would definitely go back to Ubud in the future!